Society lady and Iyalode of Gbagura, Ogun State, Chief Mrs. Adunni Bankole, is dead. The ex-wife of Chief Alani Bankole reportedly died today, Saturday, January 3, 2015 as her daughter was getting married. She had been ill before now and had been in coma for days before losing the battle today. May her soul rest in peace. And sadly, she died today being the wedding day of one of her daughters, Mopelola. An inaugural meeting of the Peoples Democratic Party (PDP) Southwest was held in Akure on Saturday with the objective of outlining a strategy for winning the 2015 elections in the area, with Ekiti State governor Ayo Fayose reiterating the party’s old mantra that the presidential contest is a “do or die” affair. The returnee-governor said the party must be prepared to use its control of the army and the police, which it currently controls, to ensure victory for President Goodluck Jonathan at next month’s polls. The name, Pastor Chris Okotie, is a household name in Nigeria being the Pastor of the Household of God Church International Ministries. 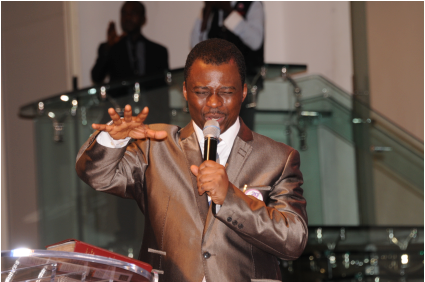 The 56-year-old pastor has had a lot going for him as a pop music artiste in the 1980s and now as a preacher. Okotie is a lover of good things and has often been criticised for flaunting his wealth. To celebrate his 27 years as a pastor and 30 years as a born again Christian, Okotie acquired the 2014 edition of Rolls Royce Phantom in 2013. The car reportedly cost him N80m. Renowned Enugu-based Catholic priest Rev. Father Camillus Ejike Mbaka yesterday reversed his support for President Goodluck Jonathan over his inability to stop corruption and loss of innocent lives. 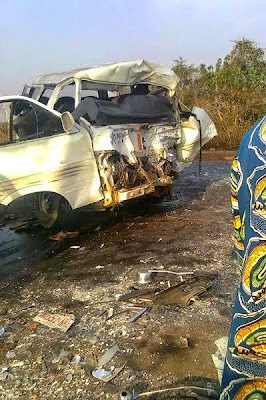 He spoke while delivering a sermon tagged, “From Good luck to Bad luck,” during the end-of-year mass Wednesday night at the Adoration Ground, Emene, Enugu. Rev. Father Mbaka, Founder of Adoration Ministry, Enugu said Jonathan has surrounded himself with very corrupt public officials. As a result, he said, the President has turned a blind eye to their corrupt activities while millions of Nigerians suffer daily in abject poverty and endless insecurity. 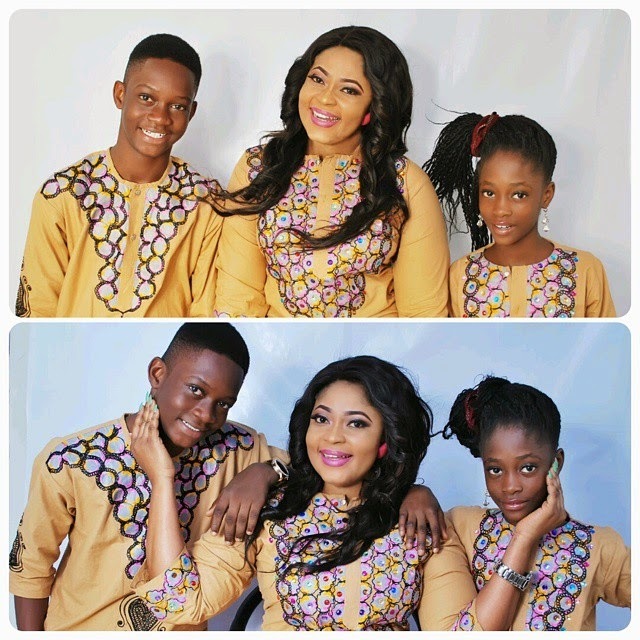 Top Nollywood actress and star of the 'Lekki House-wives'' fame, Adaora Ukoh released this photos just before 2015. 2. I shall not be used as a sacrifice by the power in the blood of Jesus I.e there will be release of vampire & cannibal spirit. Well, there is always a first time for everything. The Bauchi state Police Command has arrested a male cross dresser, Matthew Asten, 25, who was dressed in female attires. Police Public Relations Officer DSP Haruna Mohammed who confirmed the arrest to news men in Bauchi, said he was arrested in women attire spotting weave on at the mobile round about along Jos road in Bauchi. Mohammed said the suspect was about to be lynched by a mob when he was rescued by the Police. Yesterday January first, was media identity Funmi Iyanda’s yearly “Change in Life” TV extraordinary, a release where she honoured Lagos state gov. Babatunde Fashola in thankfulness for his backing for the establishment over for as far back as 8 years. Anita Osariemen Omonuwa from Edo-state has achieved a feat that has never been attained in the 122 years of existence of UK institution, University of Reading. She graduated with a First Class degree in Law from the university which is rated among the top 1% in the world. She was among the students who got the “Chancellors Award” by the Chancellor of the University, Sir John Madejski, who happens to be the founder of AutoTrader and Chairman of Reading Football Club. 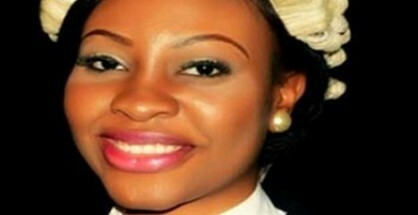 She actually graduated from Reading in 2012 but just finished from the Nigerian Law School. 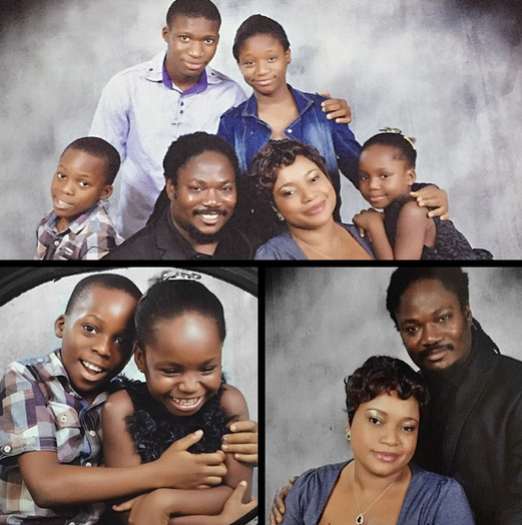 Veteran Nigerian singer Daddy Showkey shows off his family in new photos posted on his Instagram page. Lagos State Governor, Mr. Babatunde Fashola SAN (right), Oba of Lagos, Oba Rilwan Akiolu (2nd right), the All Progressives Congress Governorship candidate in Lagos State, Mr. Akinwunmi Ambode (2nd left) and the Managing Director, Lagos State Signage and Advertising Agency (LASAA), Mr. George Noah (left) during the grand finale of the 2014 Count Down at the Bar Beach, Lagos, on Thursday, January 01, 2015. “From Good luck to Bad luck,” Renowned Catholic Priest Rev. 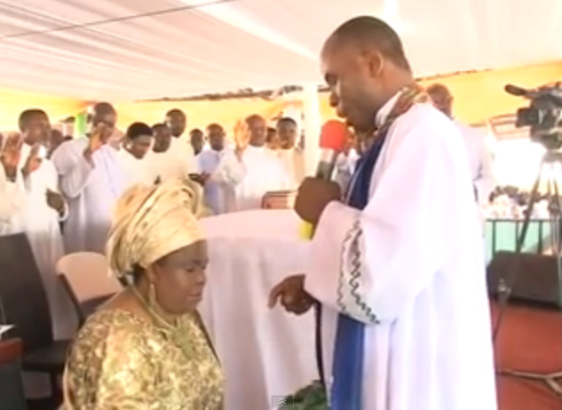 Father Mbaka Says "Jonathan Is Surrounded By Corrupt Officials & Nigerians Are Calling for Change"
A mum has been blasted for carrying her baby boy in her designer HANDBAG. Xue Hsueh, 26, popped her lad aged nine months in the expensive tote as she went to meet friends. But after a pal took a photo and posted it online the mum's behaviour was slammed by web users. WuLei34 posted: "Designer babies, the latest accessory that every woman must have." And another LucyX added: "I wonder what she will do when the straps break on her handbag?" The death has been announced of Osayi Omoigui, a young lady who was set to wed on 10th January 2015 having had her engagement on 19th August 2014. 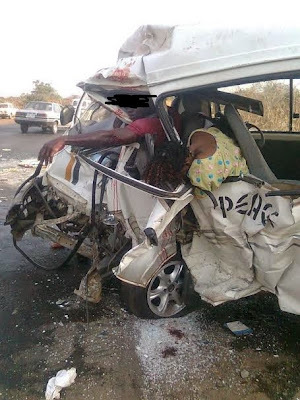 Osayi was killed by a hit-and-run driver on Monday, 29th December 2014 and she is said to have died instantly. It’s a very sad incident for her husband-to-be, family members and friends who are mourning the demise of a young loving soul. This is sensational! Tottenham now have a three-goal lead and it's that man Harry Kane again as he turns brilliantly inside the box before tucking home across goal and into the bottom corner. I wouldn't say it's game over just yet, but the favourites for the title are incredibly getting hammered! 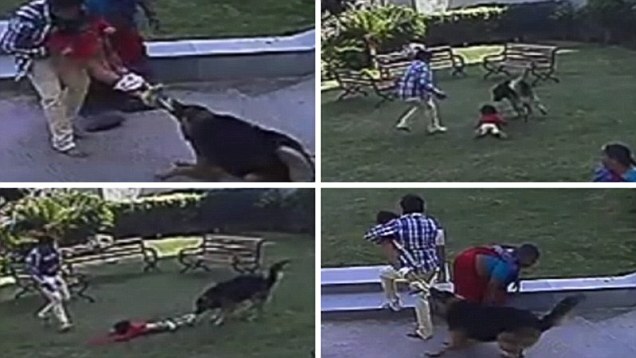 This is the moment ten-year-old Kashish Dhanani fights to save his toddler sister from the jaws of a snarling German shepherd in a terrifying tug of war. Video of the jaw-dropping struggle in Ahmedabad, India, was captured on a building's CCTV cameras and has gone viral after thousands shared the brave brother's battle to save his sibling. The drama began on the morning of December 23 when Kashish and 15-month-old sister Kanchi were playing in a shared garden at Anaahata Flats in Makarba. A top Nigerian (UBA) United Bank For Africa staff, Mrs.Chinwe Abana welcomed twin boys, last Christmas (December 25) in a Lagos hospital after waiting for a whooping 25 years. Information indicates that during the childless years, Chinwe’s faith remained unwavering. She toook in early this year and today the rest is history. Her senior sister also gave birth to a baby boy last year after 23-years of waiting for the fruit of the womb according to her Facebook update. Resident Goodluck Jonathan’s campaign team suffered a major setback today in Nigeria’s in the core north as commercial and private drivers refused to take campaign vehicles already painted in the PDP and Jonathan /Sambo campaign brand from Kaduna a state to Kano metropolis citing fear of attacks by citizens opposed to the President's return to office after the 2015 elections. Year End Thanksgiving to God: How Thankful Are You? We have reached the end of 2014 and ushered in a brand new 2015. It is a time to express our thanks to God for the great things he has done this past year. Some people might say “How can I praise God in my present bad situation? To those ones who do not see the need to be thankful, I say, Count your blessings and name them one by one......And it would surprise you what the Lord hath done. I’m thankful for my Savior, who gave His life as a ransom for mine. I’m thankful for my partner, children, parents, brothers and sisters, grandparents, family, friends, my church family. I’m thankful as a journalist, writer and blogger who write for people to learn and be thankful. Giving advice along the way....I’m thankful I live in a free country. A breathtaking display of fireworks lit up London's night sky as huge crowds descended on the Capital for the arrival of 2015. Revellers watched on as a giant clock, illuminated on the side of London's Shard skyscraper, counted down to midnight triggering wild celebrations across Britain. 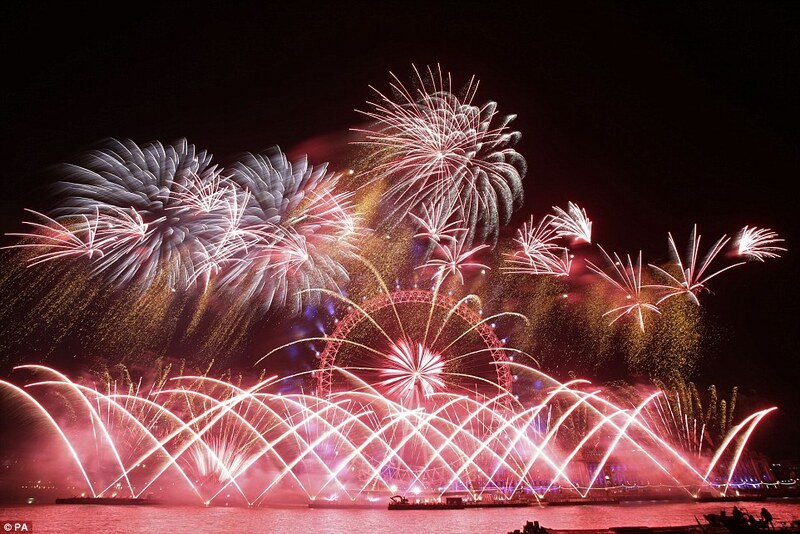 The New Year started with a bang as an explosion of light from some 12,000 fireworks - weighing a combined 15 tons - filled the sky above London's South Bank - including spectacular blasts from the frame of the London Eye. The 11-minute display, which is said to have cost £1.8million and was accompanied by an electronic soundtrack, featured a poignant commemoration of the centenary of the First World War with bursts of red fireworks representing poppies. It comes as millions around the world have welcomed in 2015 with a series of spectacular fireworks displays. Prices of imported used cars are expected to rise appreciably in the New Year as the Federal Government begins the collection of 70 per cent duty on second-hand vehicles imported into the country from January 1, 2015. This is the second phase of the national automotive policy, which was announced in November 2013. In a move to encourage local assembling of vehicles, the government had last year raised the import tariff on fully-built cars and used vehicles from 22 per cent to 70 per cent. 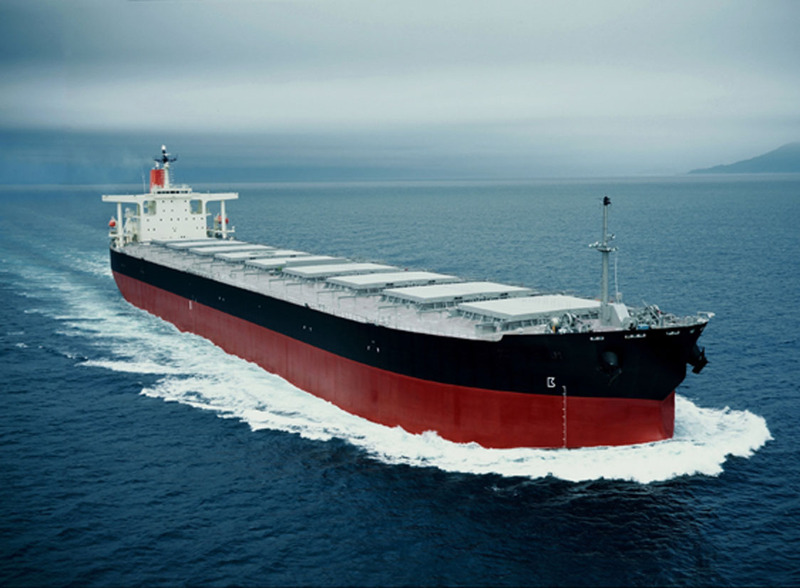 The first phase of the policy involving the payment of 35 per cent duty came into effect in February 2014. The video titled, ‘APC – A Satanic Party’ was posted on video-sharing website YouTube by ‘Archbishop Samson Mustapha Benjamin’, the General Overseer of Lagos based ministry Resurrection Praise Ministries International, popularly known as ‘Jehovah Sharp-Sharp’. In it, a man he alleges to be Hon. Olusola Israel Adekunle, the local government chairman of Alimosho, Lagos, is seen stark naked in a swampy area sitting on a horse. He is heard muttering some unintelligible words before pouring a reddish substance all over him which the cleric described as ‘human blood’. Rescue workers searching for AirAsia flight 8501 have recovered scores of victims from the sea off Borneo Island, the Indonesian Navy said. At least 40 bodies were discovered alongside luggage (top right), a plane door and an emergency slide floating in the water 100 miles off the coast (bottom right) earlier today, following three days of searches. The recovery came as devastated relatives of AirAsia crash victims collapsed in grief (top and bottom left) and were taken to hospital after an Indonesian television station showed uncensored footage of swollen corpses floating in the sea (main image). The Airbus A320-200 was 42 minutes into its flight from Surabaya in Indonesia to Singapore on Sunday when it vanished with 162 people on board. This is the dramatic moment home office investigators put a stop to a sham marriage just minutes before the bride and groom exchanged their vows. Nigerian Chinedu Amadi arrived at Leicester Registry Office to marry a complete stranger - Hungarian national Szilvia Basco-Porkolab, who donned a traditional white wedding gown for the occasion. But unbeknown to them Home Office investigators who were tipped off by a suspicious registrar and lay in wait in a side room for the pair to arrive. LAGOS APC GOVERNORSHIP, AKINWUNMI AMBODE CANDIDATE ARRESTED. Lagos governorship candidate of the All Progressives Congress (APC), Mr. Akinwunmi Ambode has been quizzed by the police over an alleged perjury case against him, Sunday Tribune has exclusively learnt. Sunday Tribune had exclusively reported the commencement of the probe by the police weeks back. A security source revealed that Ambode was quizzed on Wednesday at the Force Headquarters in Abuja. He was reportedly released on administrative bail after he was said to have made his statement on oath. The police team handling the investigation reportedly issued a formal summons on him which he reportedly honoured. 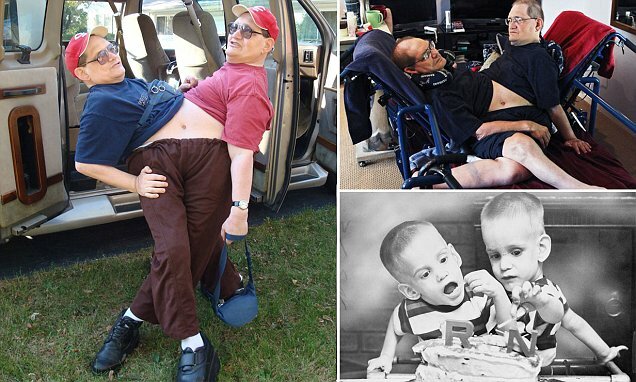 The Ohio twins, who are joined at the waist and face each other, celebrated their longevity milestone playing at Florida's amusement parks. Ronnie and Donnie Galyon beat the previous record holders, Italian twins Giacomo and Giovanni Battista Tocci, who were born in 1877 and lived to be 63. Since they were kids (bottom-right) , the twins supported their family by performing in carnival sideshows in the U.S. and circuses throughout Central and South America. Unfortunately, people in Nige­ria continue to experience avoidable deaths; they continue to die of treatable illnesses. Generally speaking, lack of access to quality healthcare coupled with the prevalence of quack hospitals and doctors, fake drugs and substandard products, seemingly put staggering financial burdens on families and the nation. The situation seems to get worse. Un­fortunately, most of us have lost relatives who went to the hospital for treatable ill­nesses and never came back alive. I lost my first cousin about 2 weeks ago to this quagmire of an health system in Nigeria. 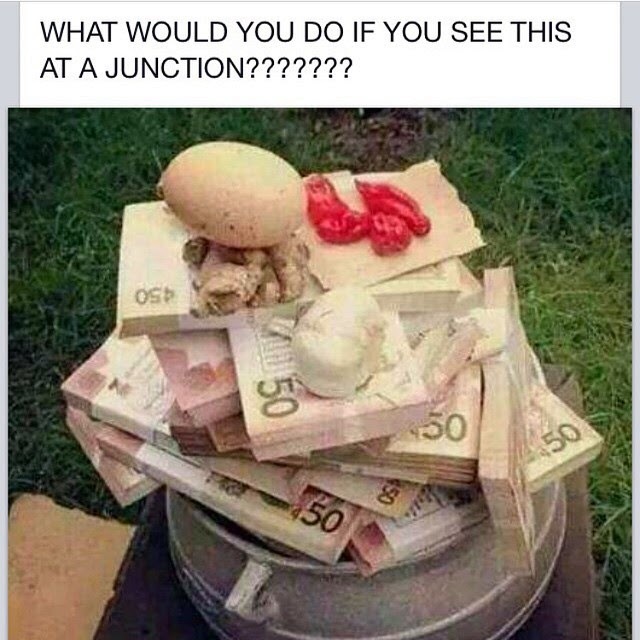 Horror stories like this abound among Nigerians in the Diaspora. 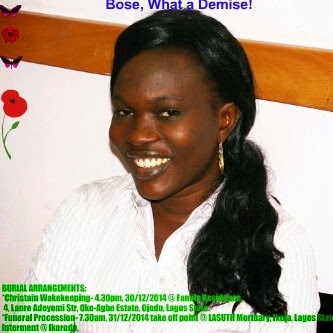 Read the story of Mrs Bosede Adebomi a First Bank of Nigeria employee who lost her life over sheer negligence on the part of our health system in Nigeria. The headless body of a young girl was found in a uncompleted building in Osun State.An Old man was said to be on his way to work when he found a corpse of a headless young girl and raised an alarm. The unidentified girl appeared to have been raped as she was stripped off her clothing….The poor girl must have fought so hard for her life. VIDEO: Flying Horse Seen In Thunderstorm In Makkah ? Flying Horse Seen In Makkah - Did the people of Makkah really see a flying horse? Flying Horse Seen In Makkah November 2014 HD - Flying Horse Seen In Makkah - Could this be real or is this fake? 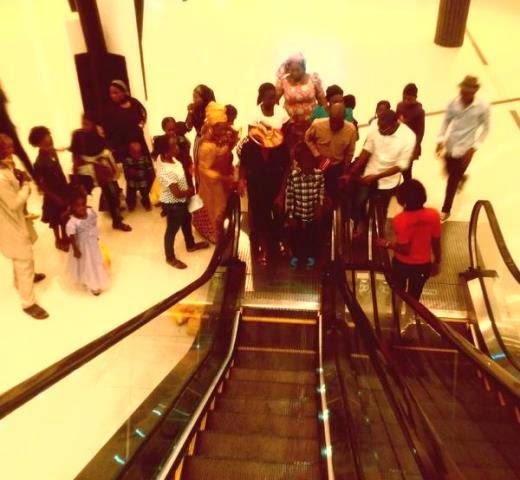 Last week, a blind item of a story went round the Naija blogosphere that a popular Nollywood actress was set to marry her colleague’s ex-husband. After a lot of go arounds on the gossip vine, the names of the actresses involved has been confirmed as Nkiru Sylvanus and Oge Okoye. Oge and Nkiru both started off in Enugu as actresses before Oge allegedly met and started dating Stanley,he was already dating Nkiru and both were in a relationship that many thought was going to lead to a blissful marriage. Reportedly, Oge Okoye moved in with Amsterdam-based Stanley Duru in 2006 while he was already dating Nkiru Sylvanus in Nigeria. 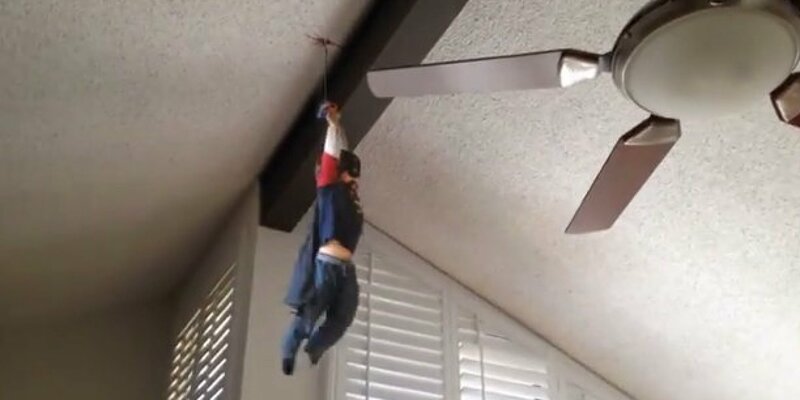 Daniel Hashimoto, an After Effects artist for DreamWorks, used his video talent to make his son's playtime come alive — whether it's using Batman's grappling hook or fearlessly jumping from couch to couch to avoid the lava in their living room. Action Movie Kid could deserve a spot on the Justice League. And his dad just might be father of the year. Daniel Hashimoto, a DreamWorks animator based in Los Angeles, used his skills to turn his son into a superhero with unfathomably cool powers and gadgets in a series of videos called "Action Movie Kid." "I made them mostly because he is really funny and imaginative," Hashimoto told the Daily News. "James doesn't watch TV or movies very much. We play tons of games with him throughout the day." Britain's coldest snap of the year has cost two drivers their lives. A man died when his Land Rover Defender left an icy road and smashed into a tree early this morning. Police say he was pronounced dead at the scene of the crash near Horam, East Sussex, at 7am on Monday. Emergency services had to deal with sheet ice and temperatures of -2C as they struggled to get to the accident scene. The Lagos state Police command is currently investigating circumstances that led to the gruesome murder of a 35 year old mother of 4, Mrs. Martha Ifeoma Ifewulu pictured left, in her home at Oke-Afa, a suburb of Ejigbo Local Council Development Area of Lagos State on Monday, Dec. 1st. According to Sunday Sun, Mrs Ifewulu, a business woman, was found lying on the staircase of her home in the pool of her blood by her young children who just returned from School. The luxury Emirates Palace hotel in the United Arab Emirates (UAE) unveils a Christmas tree. It's not just any ordinary tree. It's decorated with over 11 million dollars' worth of jewelry. Here's more. This Christmas tree is decorated with over 11 million dollars' worth of jewelry. It is sitting at the luxury Emirates Palace hotel in the United Arab Emirates capital, Abu Dhabi. "This year, we partnered with Mr Khalifa Khoury, who is the chairman of Star Gallery and he has provided us with 11 million dollars' worth of precious stones and jewelry and that enables us to go for the Guinness world record for the most expensive Christmas tree." Comrade Timi Frank is the Deputy National Publicity Secretary of the All Progres­sives Congress (APC). In this interview, the Bayelsa State- born politician gave an insight into why the party settled for Prof. Yemi Osinbajo as Muhammad Buhari’s running mate and the chances of APC in the South-south, among other issues. 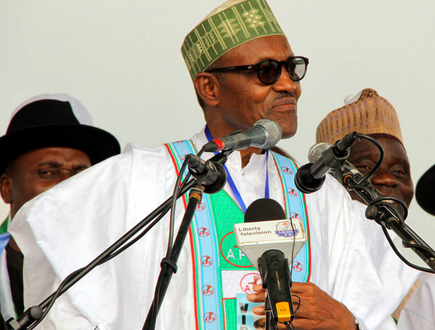 A leader of the Peoples Democratic Party in Bayelsa State, Chief Jude Tabai, has said the All Progressives Congress presidential candidate, Maj. Gen. Muhammadu Buhari, is a big threat to President Goodluck Jonathan’s re-election in 2015. Tabai, who is also a youth leader in the Niger Delta, expressed the fear in an interview with our correspondent on Saturday. The Divisional Police Officer in charge of the Ijede Police Station, Nwaoha Uzoma, has died. Our correspondent learnt that Uzoma’s corpse was found in his office on Thursday, a day after he entered and locked himself in. It was gathered that after he did not pick his calls, anxious relatives and policemen in the station broke the door open and saw his lifeless body on the floor. PUNCH Metro gathered that Uzoma, a Superintendent of Police, was formerly heading the Anthony Police Division, before he was posted to Ijede, in the Ikorodu area, early in December. Our correspondent gathered that the deceased, who was married with children, was in his fifties. A police source said, “The DPO was posted from Anthony to Ijede around December 5. At that time, he had an illness, which was not very serious. He was a friendly man who could sometime become angry and that’s when you offend him. But once he showed his anger and you begged him, he forgave and that would end it. Africa boasts 55 billionaires - far more than previously thought - and they're worth a staggering $143.88 billion in total, according to pan-African magazine Ventures Africa. Indications emerged, weekend, that Governor Sule Lamido of Jigawa State had openly rejected the re-election bid of President Goodluck Jonathan in 2015. Although there had been speculations in the past that Lamido was unhappy with Jonathan over the way he had been treated by the leadership of the ruling Peoples Democratic Party and the president’s unfulfilled promises to the state, Lamido openly voiced his opposition to Jonathan’s candidacy at a PDP rally in Dutse on Saturday.